It is going up to 5pm here in Brisbane and I am almost feeling better after my old girl (computer) crashed this morning. Thank you Gary Hall for having the “puri puri”, (magic) of conducting a tech recovery process without being present. I still don;t get it Gary, but anyway, my old girl is up and running and groaning less so I am grateful. I had promised an article I wrote about the Kula canoe, Sopikarin. South Australia Museum has now purchased this canoe which sat in their museum lobby for a few years. Pictured above, it is an exquisite piece of history, all kept in one piece. It represents the amazing Kula Ring as shown in the map, a trading area and a highly organised system that lasted for many generations and the Milne Bay people in Papua New Guinea should be very very proud of this canoe and their rich heritage. Sopikarin carries with it, all it’s ornaments and markings of your ancestors and many stories, many untold can only be imagined by many people from many cultures and tribes around the world. I have always loved the stories behind canoes and in Papua New Guinea and other Pacific Island countries, it was our only transportation for many centuries – for trade and as a means of getting from one place to another. Each canoe is build from a unique tree and often there are several rituals associated with the preparation and launching to ensure that our ancestors protect us while we travel. We have always been seafarers long before the western ships and boats came. I wrote the article about Sopikarin, the last Kula trading canoe as part of my research for my Masters in Museum studies at University of Queensland. There may be other ‘last ones’ out there and I hope I can here from you, the Masawa people. This article has been published in the Paradise Magazine (Air Niugini In-flight Magazine) and I would like to thank Dr Barry Craig and SAM – the South Australia Museum for the contribution to my research and the story. Following the ppublication in Paradise Dr Harry Beran wrote this email to Dr Craig about the name of the canoe. I would be grateful for any Masawa people in Milne Bay Province to contribute to the discussion on what is the true meaning of the name “Sopikarin. 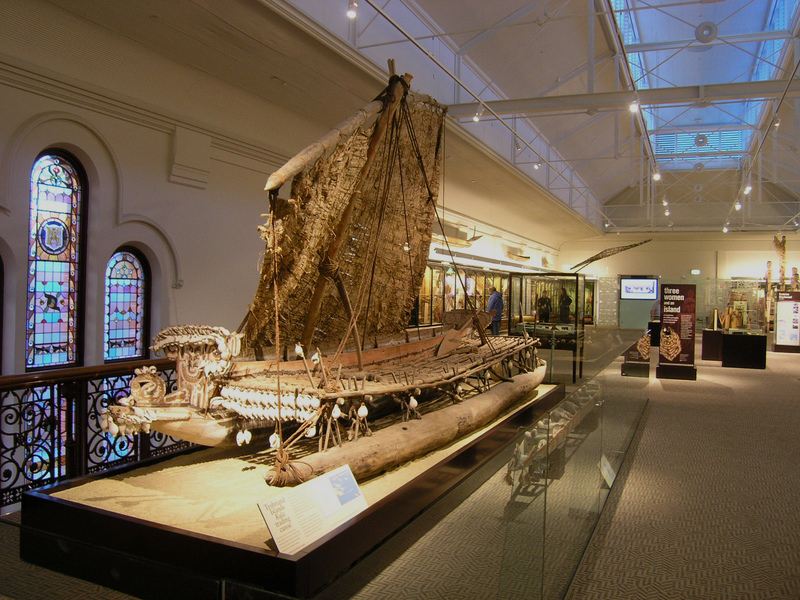 I’ve just seen the article on the masawa canoe on display at the SAM. Nice piece. I have a copy of a typescript by Kiriwinans and ralph lawton which gives the terminology of the components of a masawa canoe. I can send you a copy if you don’t have one already. I find the reason for its name implausible. Would Trobrianders use a wood that doesn’t float for the hull? I do know that the wood called meku in Kiriwina and kwila in tok pisin doesn’t float but would they use this for canoes? (I think it’s used for the tables made for sale) Nor can I see why the log the hull is carved from would end up in the water before it was carved into the hull. Nor why the water near the land would be so deep that divers bled from ears and nose. Anyhow Peter Hallinans’ notes on Sopikarin make it clear that the explanation of the canoe’s name is part of a legend and legends don’t have to make sense. Please click on the link below to read my story about Sopikarin’s new journey – to Australia.